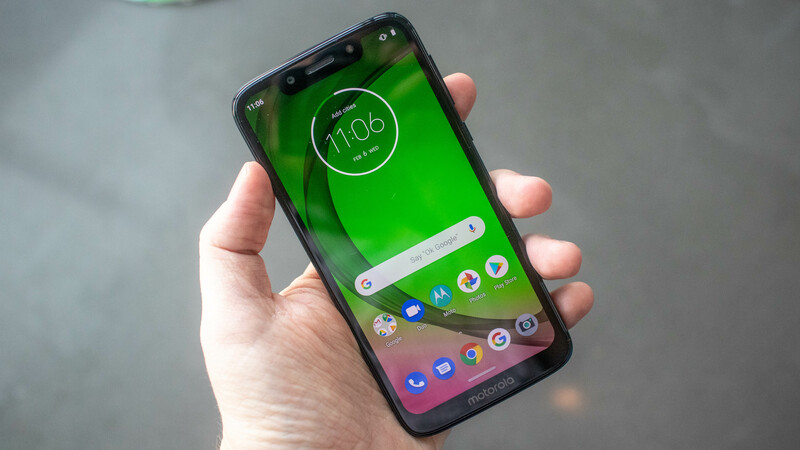 Motorola’s new range of budget smartphones has been announced, with the Moto G7, G7 Plus, G7 Play and G7 Power, all seeing improvements over their G6 series counterparts. While all the devices sit towards the lower end of the price spectrum, each is designed for a different type of user, with particular specifications and capabilities. So while all the new Motos are very capable devices, there’s likely one particular variant that’s perfect for you. We’ve pitted the four smartphones against each other to see where they differ, and what features they have in common, and to look at their pros and cons. Unlike their predecessors the G7 phones have a notch at the top of the screen, although the Power and Play have larger notches, and the screen on each device takes up noticeably more of the phone’s front that on the G6 range. 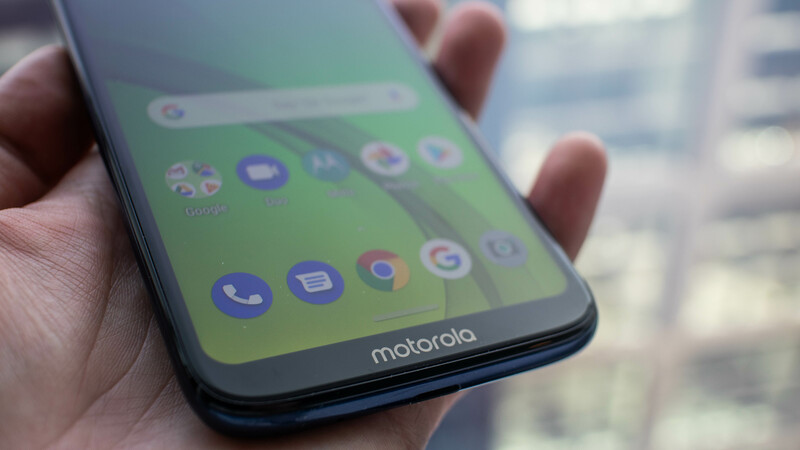 All the G7 devices have a 3.5mm headphone jack at the top of the handset, as well as a fingerprint sensor on the rear built into the Moto logo and a USB-C port for charging. Beyond that, the devices vary in size and build quality. The G7 Play is a rather dainty device, weighing just 151g and having a 5.7-inch 1512 x 720 display and plastic black cover. It’s the smallest of the G7 phones, with the Power, Plus and G7 all sporting 6.2-inch displays. This gives the Play a sleek and compact feel, and it won’t take up too much space in the pocket. The mid-sized devices are the G7 and G7 Plus – their 6.2-inch 2270 x 1080 screens and curved glass backs make them a little weightier and bulkier than the Play, while the glass rear gives them a nicely streamlined feel, although they’re a little easier to drop than the plastic-backed Play. The G7 weighs 172g, while the G7 Plus weighs 176g. The G7 Power is a bulkier device than the G7 and G7 Plus, and considerably more so than the G7 Play – it weighs in at almost 200g and is roughly 1mm thicker than the other devices, due to the massive 5000mAh battery inside. As with the G7 and G7 Plus, it has a 6.2-inch display, although its resolution is only 1520 x 720. Its increased size means it’ll be less manageable for those will smaller hands. While the G7 Power does feel a little hefty, and the G7 Play a little delicate, all four phones feel comfortable to handle, although the G7 and G7 Plus are the most premium offerings in terms of look and feel. Despite the fact these are affordable handsets, Motorola hasn’t cut corners with the cameras on its new phones. The G7 Power has a 12MP rear and 8MP front snapper, while the G7 Play has the same selfie camera but marginally betters the Power’s rear camera with 13MP. Both cameras on both phones are single-lens, which will be fine for most users, but photography aficionados should look to the other two G7 phones for their fix. The G7 gets a 12MP main camera supplemented with a 5MP depth sensor, and an 8MP front-facing snapper. The real powerhouse of the series, however, is the G7 Plus, which boasts a 16MP main camera and 5MP depth sensor on the rear, and a 12MP front camera. Each member of the G7 family comes with a suite of features for correcting and enhancing your photos, so you won’t miss out if you have one of the lower-resolution phones. These include an AI function that straightens skewed pictures, auto smile detection, and a high-res feature that takes multiple pictures when you zoom in, in order to create a more detailed picture. The G7, G7 Plus and G7 Play all have a 3000mAh battery, and the former two ship with TurboPower fast chargers for speedy top-ups. This is a respectable enough battery capacity, with all-day battery life promised for the G7 and G7 Plus. If maximum battery life is important to you, however, then you’ll want to look at the G7 Power with its 5000mAh battery. Motorola claims the Power is good for 60 hours of mixed use between charges, and it also comes with a TurboPower charger in the box, which is claimed to provide nine hours of usage from only 15 minutes of charge. We’ll be sure to scrutinize these claims in our in-depth review, but 5000mAh should be enough for even the most demanding power user. For heavy phone users, who’ll be using their device intensively or who are on the move, with limited opportunities for charging, the G7 Power is by far the most useful device. The Power’s extended battery life is its only unique selling point though, so if endurace isn’t a concern then this likely isn’t the phone for you. The Moto G7, G7 Power and G7 Play all run the Qualcomm Snapdragon 632 chipset 1.8GHz octa-core CPUs, giving them equal processing power and, on the face of it, enabling them to multi-task efficiently. The Moto G7 Plus, though, goes one better with the Qualcomm Snapdragon 636 chipset, which we’ve seen in phones like the Nokia 7.1. Both the G7 and G7 Plus have 4GB RAM and 64GB storage, but the Moto G7 Play and G7 Power are lightweights by comparison, with 2GB and 3GB of RAM respectively and just 32GB storage. Each device supports microSD cards up to 512GB, so you can expand your storage, which you’ll almost certainly want to do if you go for one of the 32GB options. While the G7 Play and G7 Power are the weaker devices in terms of specs, they should suit less-intensive users who don’t need bags of processing power, and they should enjoy better battery life. Only the G7 and G7 Plus have near-field communication, however, so if you’re going to be relying on your mobile for contactless payments you’ll need these devices. The Moto G7 Play is cheapest of the new quartet at $200 (£149, AU$270), while the Moto G7 Power will set you back $249 (£179, around AU$330). The Moto G7 is an Amazon-exclusive device (in the UK at least), so don’t expect to pick it up from your local phone shop or other online vendors – it’s priced at $299 (£239, around AU$437). The top-shelf device is the Moto G7 Plus, which isn’t launching in the US; in the UK it’s priced at £269, which converts to around AU$490. If you’re on a tight budget and don’t need the best camera you’ll want then the Moto G7 Play, but if you’re a heavy phone user it’s worth spending a little extra to get the Moto G7 Power and its expanded battery. How does the Moto G7 compare to the Moto G6?